Monkey bars help increase arm and hand strength in children while Improving muscle tone whil playing on there monkey bar set. Help strengthen children's muscles in their hands and upper body by letting your child hang/dangle from the monkey bars. 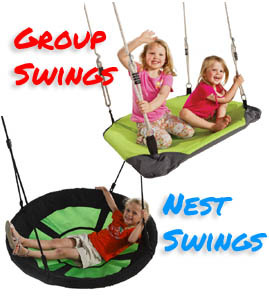 Teach them to to swing their legs back and forth while maintaining their tight grip to hold on the monkey bar set. Help them to reach out for the next bar on the monkey bars. Monkey bars are not just for fun and play! 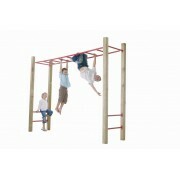 Turn Therapy into play with our range of monkey bars that are available. Monkey Bars Purple with Timber Posts1 Set of PURPLE Monkey Bars 3.0m x 0.6m ( 9 Rungs) with 4 Step r..
Monkey Bar & Step Rungs Blue1 Set of BLUE Monkey Bars 3.0m x 0.6m ( 9 Rungs) with 4 Step Rungs (..
Monkey Bar Set Red with Timber Posts1 Set of RED Monkey Bars 3.0m x 0.6m ( 9 Rungs) with 4 Step rail..
Monkey Bar & Step Rungs Green1 Set of GREEN Monkey Bars 3.0m x 0.6m ( 9 Rungs) with 4 Step Rungs..
Monkey Bar & Step Rungs Purple1 Set of PURPLE Monkey Bars 3.0m x 0.6m ( 9 Rungs) with 4 Step Run..
Monkey Bar & Step Rungs RED1 Set of RED Monkey Bars 3.0m x 0.6m ( 9 Rungs) with 4 Step Rungs (NO..
Monkey Bar Set Blue with Timber Posts1 Set of BLUE Monkey Bars 3.0m x 0.6m ( 9 Rungs) with 4 Step ra..
Monkey Bar Set Green with Timber Posts1 Set of GREEN Monkey Bars 3.0m x 0.6m ( 9 Rungs) with 4 Step ..